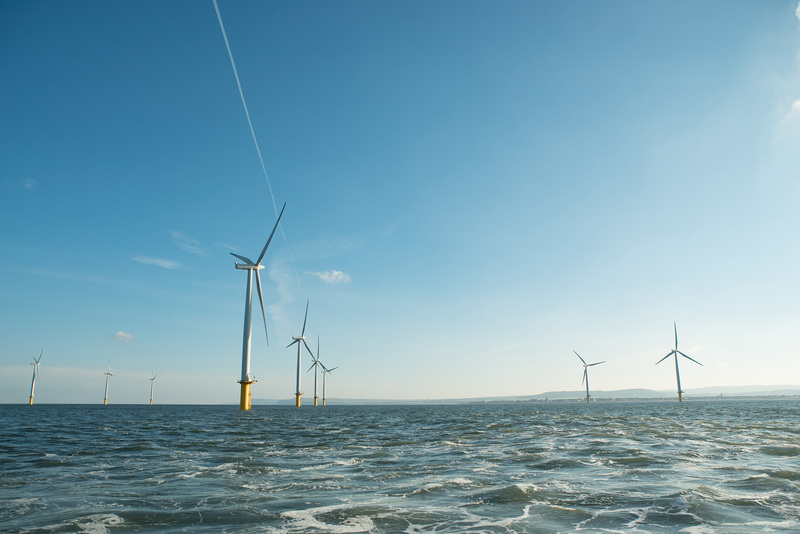 The project consists of 75 offshore wind turbines each with a 6 MW capacity. The total capacity is 450 MW. 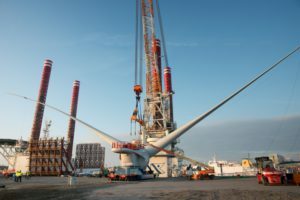 The turbines will be more than 10 km off the Bessin coast (Courseulles-sur-mer) across an area of 50 square kilometres. The distance between each turbine will be more than one kilometre to allow navigation and maritime activities to take place. The wind farm will produce enough electricity to supply 630,000 people, which is more than 90% of the people who live in Calvados. A suitable environment for offshore wind: strong and steady winds and moderately deep waters. An area with no major constraints in terms of maritime use and maritime security. It is situated well away from any main routes of commercial navigation. 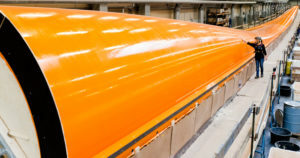 Environmental compatibility: over a number of years, studies have been carried out to ensure the project is compatible with the local environment and use of the area. Since 2007, a lot of work has taken place with local employers, training organizations and other stakeholders to ensure the project maximises local economic benefits. The logistic hub at Cherbourg and the offshore installation will mobilize around 200 people. 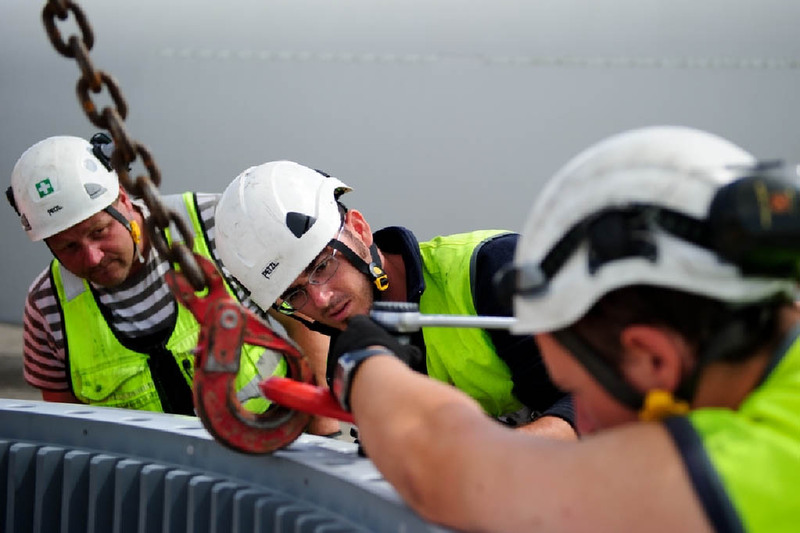 Approximately 100 jobs will be created in the port of Caen-Ouistreham looking after the maintenance of the wind farm and this will be for the lifetime of the project, 25 years. 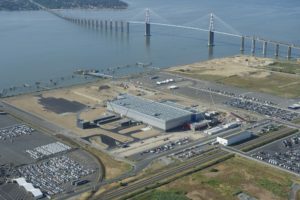 On a national scale, the Parc éolien en mer du Calvados is part of a much bigger industrial plan to create a French marine renewable energy sector which is competitive on the export market. Since 2007, there has been continuous dialogue between local representants, fishery committees, and local associations. Landscape, environmental protection, and fishery possibilities have all been discussed. After this process and the public debate in 2013, the project’s partners made a number of commitments and adopted support measures for the territory. Beyond regulatory consultation phases, public meetings and consultation committees have been organized over the years in the coastal municipalities. 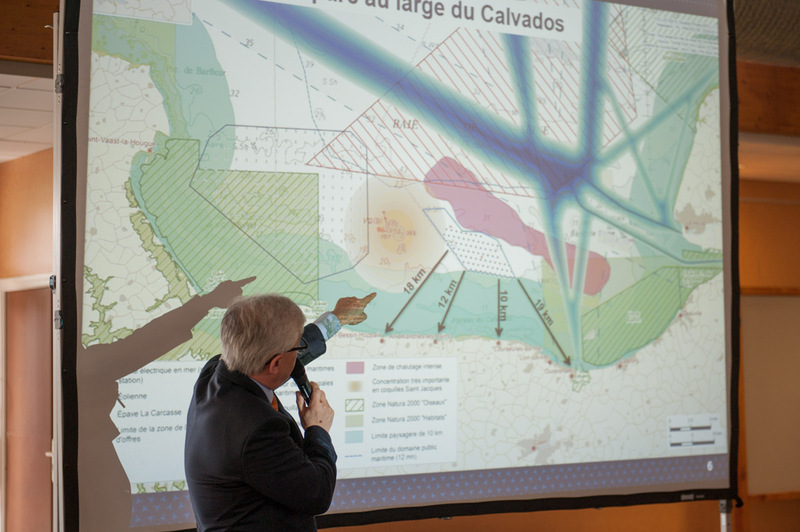 Since 2008, a number of studies have been carried out where the wind farm will be localized in order to make sure the environment and fishing posibilities are respected. These studies have been carried out in partnership with local environmental associations and specialist consultants with the full support of professional fishermen, fishing associations and coastal communities. They have taken into account the visual impact, fishing activities, marine security and tourism.